Rabies kills by compromising the brain’s ability to regulate breathing, salivation and heartbeat; ultimately, victims drown in their own spit or blood, or cannot breathe because of muscle spasms in their diaphragms. One fifth die from fatal heart arrhythmia. It is nearly 100 percent fatal. A Brazilian teen, who was bitten by a vampire bat and contracted rabies, is being called only the fifth person in the world and the second in Brazil to be cured of rabies, according to Brazilian health officials (computer translated). 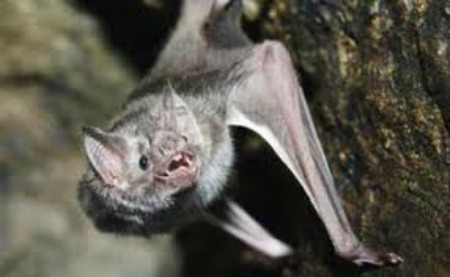 Mateus dos Santos da Silva, 14, was one of three children from the same family who contracted the disease in November last year after getting bit by a vampire bat. The virus killed his two siblings – Lucas, 17, and Miria, 10, within weeks of each other after it took hold. Health officials in Amazonas call the case atypical and a “clinical cure”. The teen underwent the Milwaukee protocol- made famous more than a decade ago when then 15-year-old Wisconsin girl Jeanna Giese– survived the lethal viral infection under the the experimental procedure developed by Rodney Willoughby, Jr. The treatment involves putting the patient into a chemically induced coma and giving antiviral drugs like ribavarin and amantadine. Anesthetics are then reduced after a time after it is shown that the infection is being fought off. To date, five human rabies cases have been cured–Two in the US (2004 and 2011), two in Brazil (2008 and the current case) and one in Colombia in 2008. And we can go back to the 1970s to find rabies survivor, Matt Winkler, who survived rabies becoming as the report notes, “the first person on record to survive rabies”. According to the World Health Organization, Rabies is a zoonotic disease (a disease that is transmitted to humans from animals) that is caused by a virus. The disease affects domestic and wild animals, and is spread to people through close contact with infectious material, usually saliva, via bites or scratches. Rabies is present on all continents with the exception of Antarctica, but more than 95% of human deaths occur in Asia and Africa. Once symptoms of the disease develop, rabies is nearly always fatal.